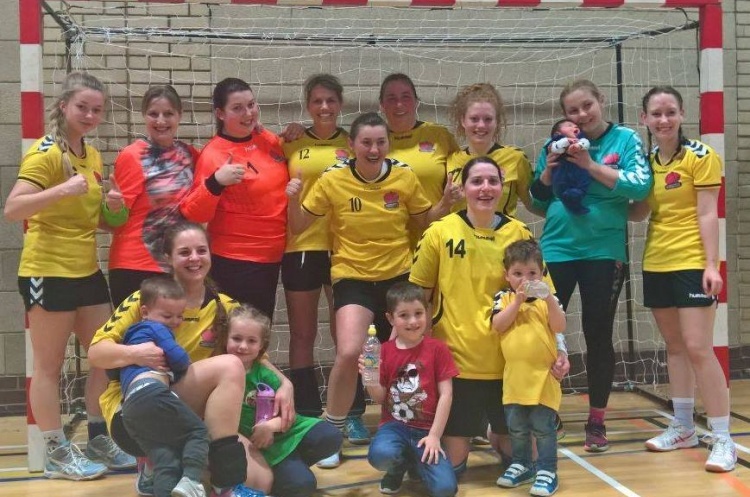 Reading Handball is a club on the up, with the mens’ and womens’ teams both making the League Cup finals, and the club receiving a Sport England grant to set up a junior section. The mens’ team had already booked their place in the finals. Last weekend the Lionesses took on London GD II in their semi-final as they bid to join the men at Powerleague Trafford on 13 May 2017. The first half was a tight affair, with both keepers in top form. Reading led 8-6 at the break. In a physical second half Reading maintained their slim advantage until with seven minutes remaining GD got back on level terms. However, Reading regained the lead as it finished 15-13 in a thrilling contest. Meanwhile, Reading Handball Club has been awarded a small grant to set up a junior section in the next 12 months. This recognition from Sports England is another mile-stone for the development of the club. Reading would like to thank British Handball CEO Paul Bray, Luke Lloyd Leisure Program Manager at Reading Council, England Handball CEO David Meli, Nick West-Oram and Ciaran Crean from Get Berkshire Active, and Sports England for their support and contribution in securing the grant.